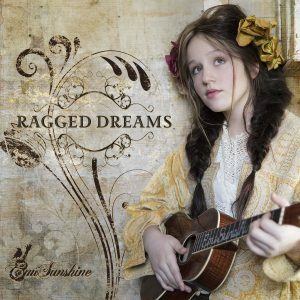 EmiSunshine Original Tunes (Written At Just 12 Years Old) Featured In Soundtrack Nominated For “Best Music Film” By The Recording Academy EmiSunshine is pleased to celebrate the news surrounding her guest appearance and performance in the GRAMMY nominated film “The King.” Produced by Eugene Jarecki, “The King” is among the list of films in the “Best Music Film” category (the award winner will be announced at the 61st GRAMMY Awards ceremony in February 2019). The soundtrack highlights two EmiSunshine self-penned/self-produced tracks (“Danny Ray“/“Johnny, June and Jesus“) and a special vocal performance of “Blue Yodel Number 6.” Emi also appears in the film. A portrait and musical story told from the back seat of Elvis Presley’s 1963 Rolls Royce, the documentary carries performers on a music-filled road trip across the U.S. picking up passengers (famous and not-so-famous) as they travel through America, at a crossroads, in the midst of the 2016 election. Emi was just twelve years old when she made her acting debut joining other notable folks, who also appear in the back seat, including Alec Baldwin, Ethan Hawke, Ashton Kutcher and Stax Music Academy singers. “We were all stuffed into the back seat of a hot car, with our instruments for more than six hours…driving the streets of Nashville. It was probably the most uncomfortable and best car ride I’ve ever had. …gives new meaning to the word ‘jammin’!” EmiSunshine said of the experience. “Emi has two original tunes in the film. I don’t believe there is any other twelve-year-old songwriter, or recording artist, in the history of the Recording Academy that has been recognized with such a grand industry honor,” said Steven Pritchard (Emi’s manager). “This is a BIG career highlight for Miss EmiSunshine. “Emi’s performance is stacked up against “Life In 12 Bars” (Eric Clapton), “Whitney” (Whitney Houston), and “Quincy” (Quincy Jones), among others in the “Best Music Film” category. So glad to be a fan of Emisunshine! Discounts for Members in our Store!